Schlegel Villages, a Canadian-owned group of 17 communities in Ontario, Canada, is the newest Solutions Advisors’ client to come on board. Founded in 1953 by Wilfred Schlegel, this family-run organization consists of independent, assisted living and long-term care communities. In April, Solutions Advisors was hired to develop and conduct a customized sales platform for the organization. This was to be no ordinary sales training, however, as the Villages boast 98% occupancy across the board. Instead, Schlegel Villages requested a sales platform incorporating the company’s values of deep respect for the customer, passion for customer service and doing the right thing. Solutions Advisors’ President and CEO Kristin Ward worked with leadership to develop content and to introduce the organization’s Sales Values at their annual sales summit in June. The next exciting step is a more in-depth sales workshop slated for September including a full sales manual based on the organization’s values and brand. 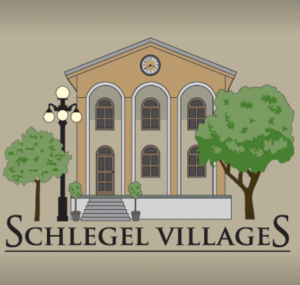 We congratulate Schlegel Villages for its goal of going from good to great!